Emphasizing the value of “See Carnival to Sell Carnival,” Carnival Cruise Line is inviting travel advisors to three first-ever ship launch parties aboard Carnival Sunrise after it emerges from a nearly $200 million bow-to-stern makeover. The kick-off party is scheduled at Norfolk, Virginia, May 17, and two more after the ship relocates to New York City, June 10 and 20. 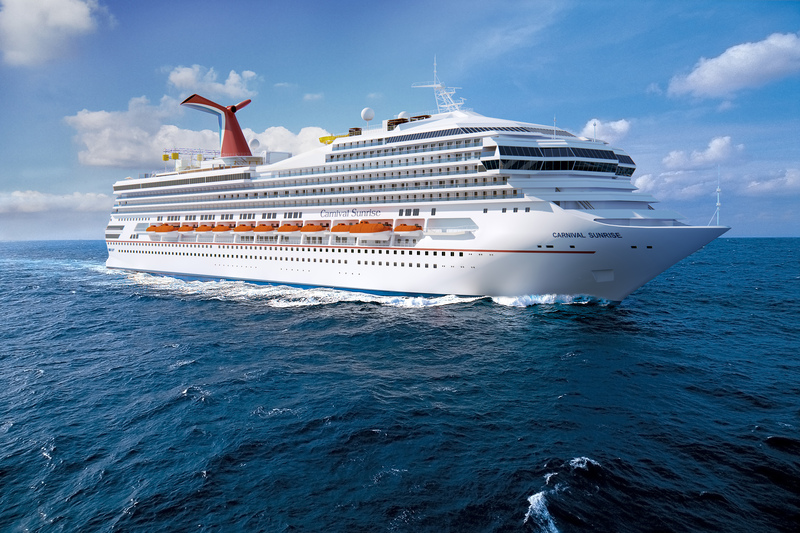 During a two-month dry dock at Cadiz, Spain, the former Carnival Triumph is being transformed into Carnival Sunrise. The massive renovation will add new dining experiences including Guy’s Pig and Anchor Bar-B-Que Smokehouse, Fahrenheit 555 steakhouse, Cucina del Capitano and the fantastic Chef’s Table experience; popular bars and lounges including RedFrog Pub, Piano Bar 88 and Limelight Lounge; new on-deck attractions include SportsSquare, WaterWorks and Serenity adult-only retreat; an expanded Cloud9 Spa; enhanced spaces for kids and teens; and a new mall-style retail space featuring fine watches and jewelry, as well as Carnival-branded stores. The Carnival Sunrise Launch Parties are part of the ship’s inaugural season festivities that include a naming ceremony and a travel advisor familiarization trip. Carnival’s trade Facebook page will feature details in the coming weeks about how advisors can participate in other Carnival Sunrise inaugural activities.